Jumping with my Fingers Crossed: Got Your Flip Flops? Fall better back the f@#* off. I know a lot of you are posting pictures of cozy sweaters on Pinterest. Not to mention pictures of mantle displays full of pumpkins and leaves. You all seem so excited and I don't get it. 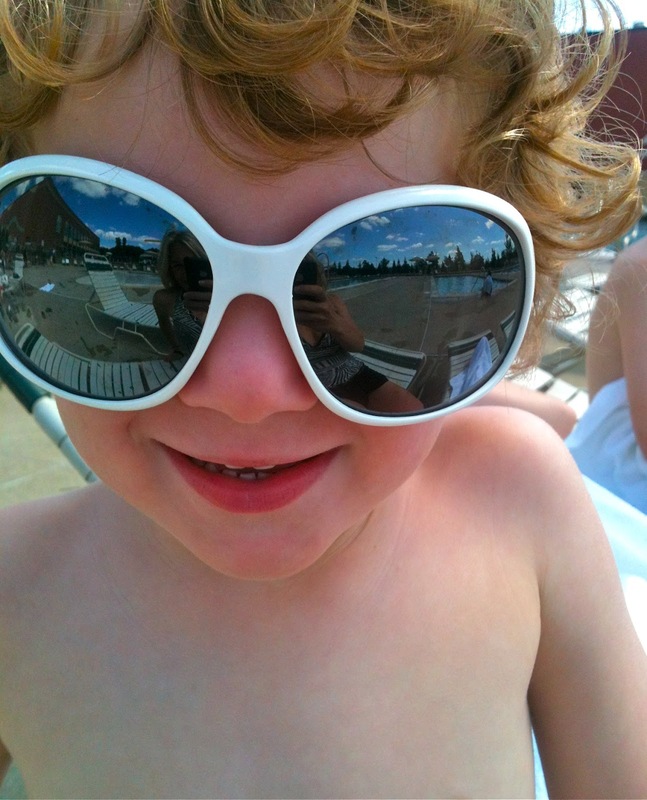 Wade sporting some really cool (and big) shades while lounging at the pool. To me, it doesn't get better than a day at the pool. "Got your flip flops?" I ask the kids as we head out the door. I like that so much better than "don't forget your hat, gloves, snowpants, coat." I know we aren't talking winter, but people fall is not a long season here in Michigan. And the long gray winter will be here soon enough. 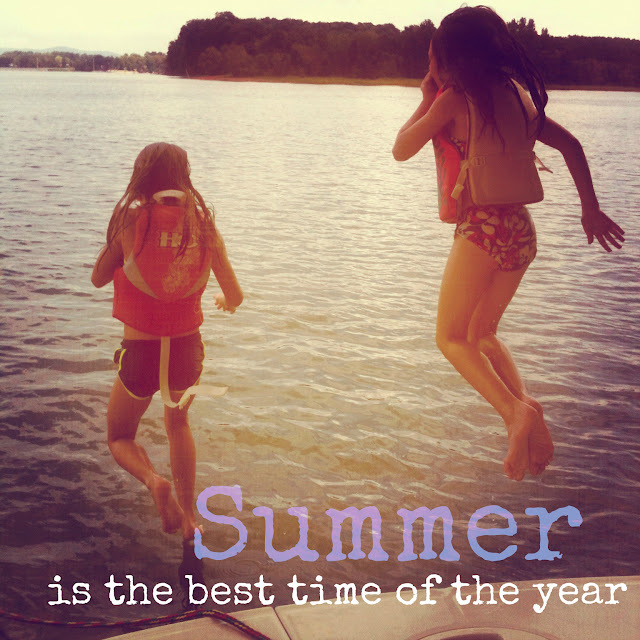 So slow down people, grab your flip flops, soak up the sun, jump in the pool/lake and enjoy the rest of the summer. Sheryl Crow has the right idea.